It’s laudable to be charitable, and Americans are well known to be just that. In 2017, Americans donated a combined $410 billion to various causes, according to Gallup. That’s the equivalent of approximately 2.1 percent of U.S. gross domestic product. 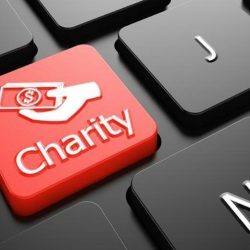 The fundamental aspects of charities are understood — raising money to help people, causes or animals in need — but what characteristics help these organizations receive charitable status? The Graduate School of Political Management at the George Washington University addresses these particulars in its robust curriculum. The program also can prepare students for careers in charitable work, as many graduates have gone on to lead and assist nonprofit groups in achieving their missions. The following will provide further insight into how the online political management program can serve as a springboard into this career arc, and more generally, the activities and characteristics that define charitable organizations. For a charity to be labeled or identified as a 501(c)(3), which provides — among other things — tax-exempt status – organizations must establish several key benchmarks. According to the Internal Revenue Service, most charities fall into one of two categories: public or private foundations. Public charities are those wherein revenue comes from more than one source. These may include the public, small businesses, corporations, government agencies (local, state or federal) or other public charities. Additionally, the donations are to go toward activities that further worthy causes, such as providing shelter, food or clothing for low-income individuals and families. Public charities also promote or contribute to the furtherance of other public charities. This team effort is often referred to as the 3C Model, which stands for cooperation, coordination and collaboration. Churches, medical organizations, hospitals, schools, colleges and universities typically fall into the public charity category. Private foundations are similar to public charities in the general sense; they also work to support the development of worthy causes. But more specifically, private foundations are usually self-funded, deriving revenue from one source rather than several. This means that they generally do not solicit donations from outside sources, like the public. They usually have trustees or boards of directors, who may be members of the same family (e.g. Bill and Melinda Gates for the Gates Foundation or the Ford Foundation, established by Edsel and Henry Ford in 1936). Another key distinction private foundations have from public charities is grantmaking. Instead of fundraising, private foundations typically contribute to causes through grants. By definition, grants go toward the furtherance of a specific goal, purpose or function. For instance, a private foundation that supports the health of the environment may grant money to a community or city for beautification purposes, such as planting trees or dredging work that reduces the buildup of sediment in streams, ponds or lakes. How many charities are there in the United States? Not only do Americans contribute billions to 501(c)(3) organizations, but they have many to choose from. According to the National Center for Charitable Statistics, a division of the Urban Institute, 1.56 million public charities were registered with the IRS as of 2015, the most recent year for which data is available. That’s up more than 10 percent from 2005. These nonprofit groups strengthened the U.S. economy by contributing over $985 billion to it during the same year. Most of those funds — 75 percent — derived from public charities in terms of both revenue and expenses. Over the years, Americans have been fairly consistent when it comes to giving. Between 2001 and 2017, between 75 percent and 80 percent of U.S. citizens donated to a secular charity, according to Gallup. A majority of Americans have also contributed to religious organizations during the same period, with nearly two-thirds donating to one or several in 2005. In the last year, 93 percent of college graduates said they had contributed money to a religious or secular charitable group, the poll also found. How does the online political management program at GW prepare students for careers in charitable work? Obtaining an online Master’s in Political Management at GW provides students with the qualifications they need to succeed in many different fields, including the nonprofit sector. 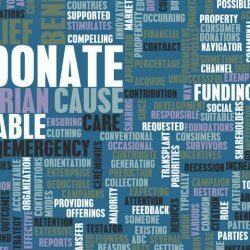 Fundraising is a core component of the activities associated with public charities, and there’s an entire class devoted to these efforts, titled Fundraising and Budgeting. A three-credit course, Fundraising and Budgeting delves into the various types of accounting and promotional activities that fundraising involves. The course also explains some of the differences between raising funds for political campaigns versus nonprofits. As leadership is a quintessential characteristic in virtually every profession, the same is true in charitable efforts. The people who work on behalf of others must be able to home in on the issues important to their clients and come up with strategies to address them effectively and proactively. The online political management program curriculum also provides lessons on leadership, taught in some of the core classes (Principled Political Leadership) and advocacy politics cluster (Grassroots Engagement). The Graduate School of Political Management at GW equips students with the management tools and leadership characteristics that can help charities serve their core function – making a difference. Please visit our website to discover more about what the program has to offer.